Am. Jnl. of Primatology / Schaumburg et al. 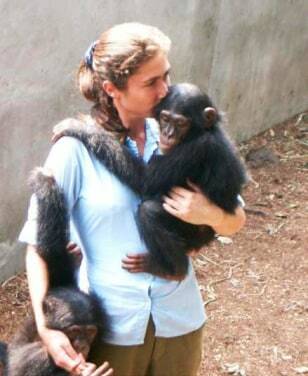 Sanctuary workers like this one are in close contact with chimpanzees, particularly infants and juveniles. Researchers say the contact makes transmission of disease, such as drug-resistant staph, highly likely.